Living and working on the beautiful Mississippi Gulf Coast, we understand the lure of relaxing on the water, whether it’s up the river, running around in the bay, or out in the Gulf. 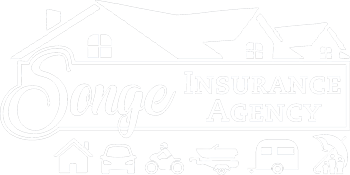 At the Songe Insurance Agency, we know the ins and outs of insuring your bass or fishing boat, cabin cruiser, ski boat, sailboat, or pontoon. We’ll also insure your Jet Ski®, WaveRunner®, or other personal watercraft (PWC). Get comprehensive boat insurance coverage that protects you, your friends and family, your boat, your PWC, and your boating gear for an entire year. With the right boat and watercraft Insurance, you get protection for your boat on the water and on land, along with coverage for you and your guests. You’ll enjoy being on the water even more when you aren't worried about your safety, the safety of your passengers, or your investment. Like auto insurance, personal boat liability coverage provides coverage to other boaters and boat owners in the event you are at-fault for an accident on the water. This coverage will pay to repair or replace the property of someone else as well as for their medical care, lost wages, and other costs incurred as a result of a boating accident for which you are legally held responsible. It will also help pay for wreckage removal and fuel spill cleanup costs. Helps pay for expenses like hospital bills and medical care that you may be held responsible to pay if you cause an accident that injures someone else. Watercraft medical payments coverage is available from $500 to $10,000 and covers you, your passengers, and even your water skiers and tubers, no matter who is at fault. Helps pays for the cost to repair or replace your watercraft, its motor, any permanently attached equipment, and your trailer, if it is stolen or damaged, up to the agreed value of your watercraft. Physical damage coverage also automatically includes coverage for unattached equipment, personal effects, and emergency assistance. In some states, pet coverage is automatically included. with physical damage coverage. And, coverage for additional fishing equipment is an option when at least one watercraft on your policy includes physical damage coverage. 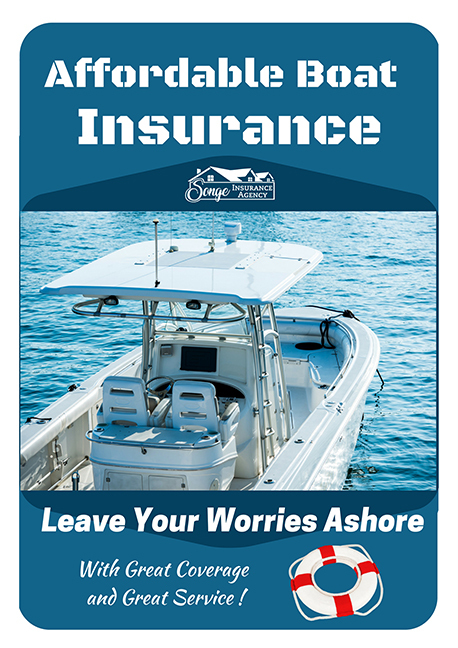 So whether you cruise the rivers, hit the islands or sail the open waters, at the Songe Insurance Agency, we customize your boat and PWC insurance by choosing options that are right for you.